The SPX gapped up today and rallied to 1082 falling a few handles short of my target. The market then declined and closed at the low of the day at 1067.36 (-0.40 %). 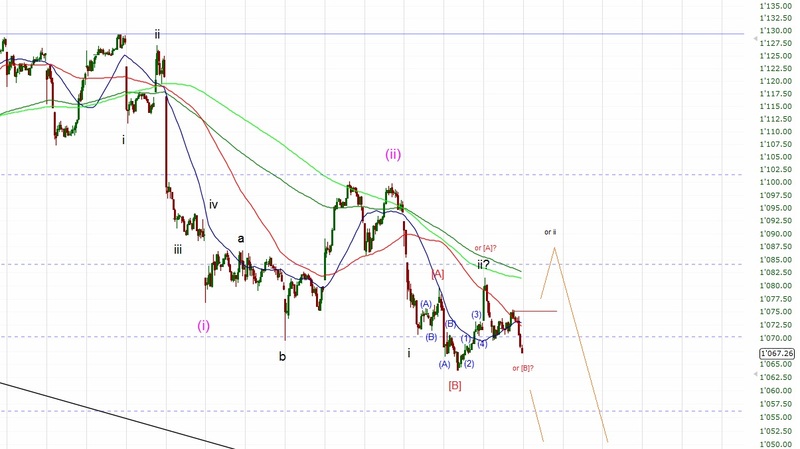 Today's high at 1082 may have completed wave ii of (iii) down. A strong decline to 1030ish should occur very soon. 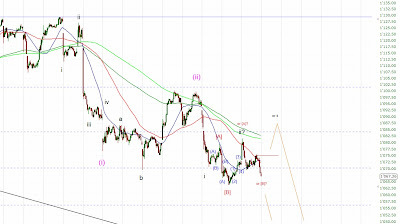 Alternatively 1082 only finished wave [A] and [C] to 1086 should follow tomorrow. If we get a convincing break of 1064, wave iii shold be underway. If the SPX breaches 1075 though we should see 1086.